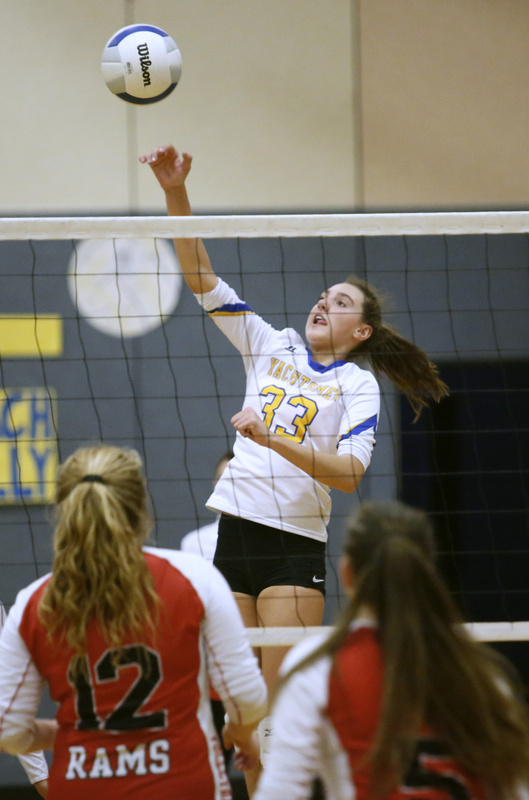 FALMOUTH — The Falmouth volleyball team seems to have peaked at just the right time. 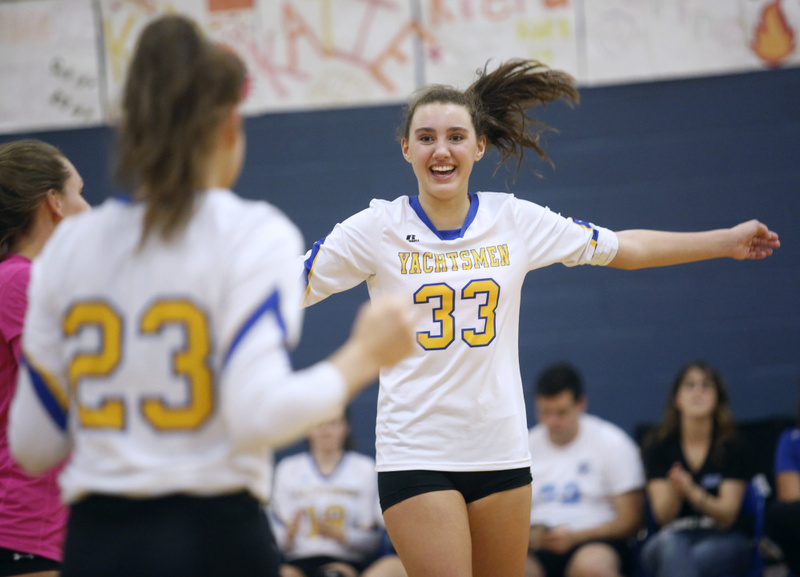 The third-seeded Yachtsmen dominated all phases of the game for a straight-sets victory Saturday over No. 6 Cony in a Class B quarterfinal. Falmouth (11-4), which won 25-7, 25-13, 25-21, will play Yarmouth in a semifinal at 6 p.m. Wednesday. “We had some really strong practices this week and a lot of motivation going into the tournament,” Falmouth Coach Molly Northway said. “They really wanted it and they showed their stuff (today), and I’m really proud of them. 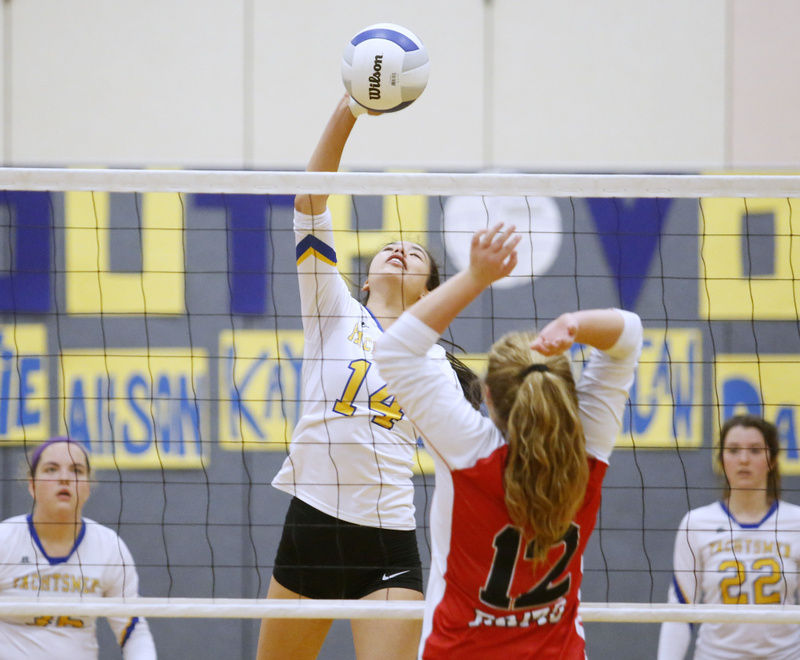 It took the Rams (6-7) some time to adjust to the pace set by the Yachtsmen. 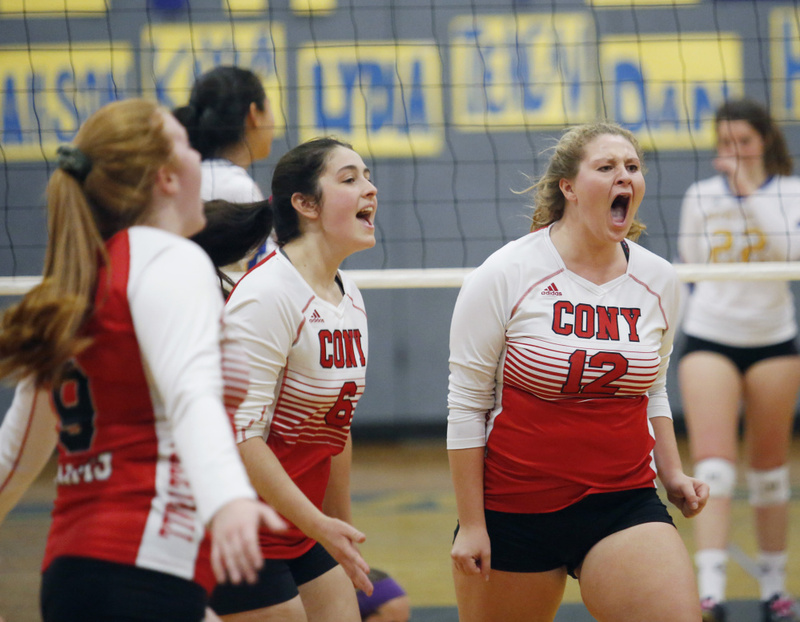 Cony crept closer with each set, but they couldn’t catch up. 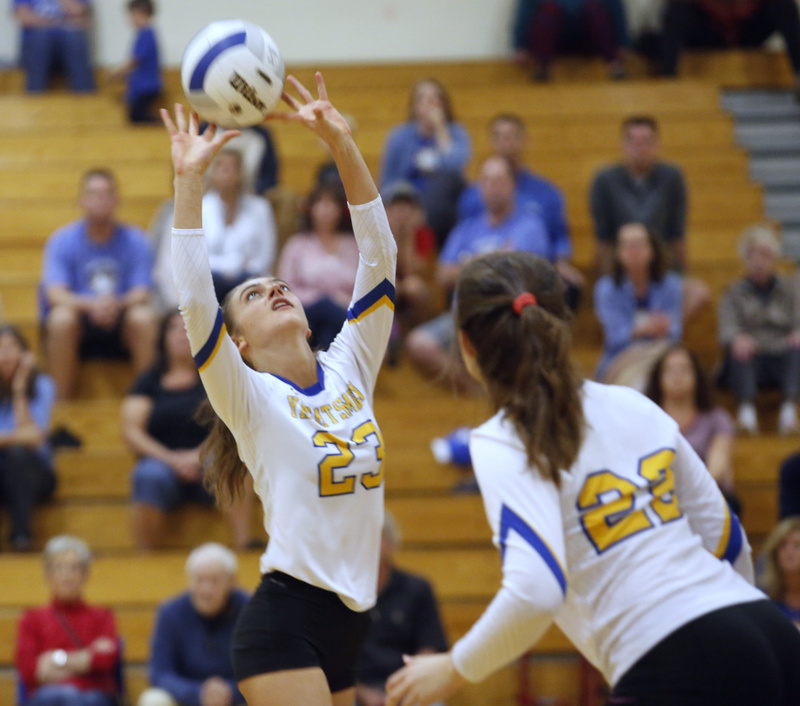 The score was tied four times in the third set and the lead changed hands twice before Falmouth scored eight of 10 points to open up a 22-15 lead. 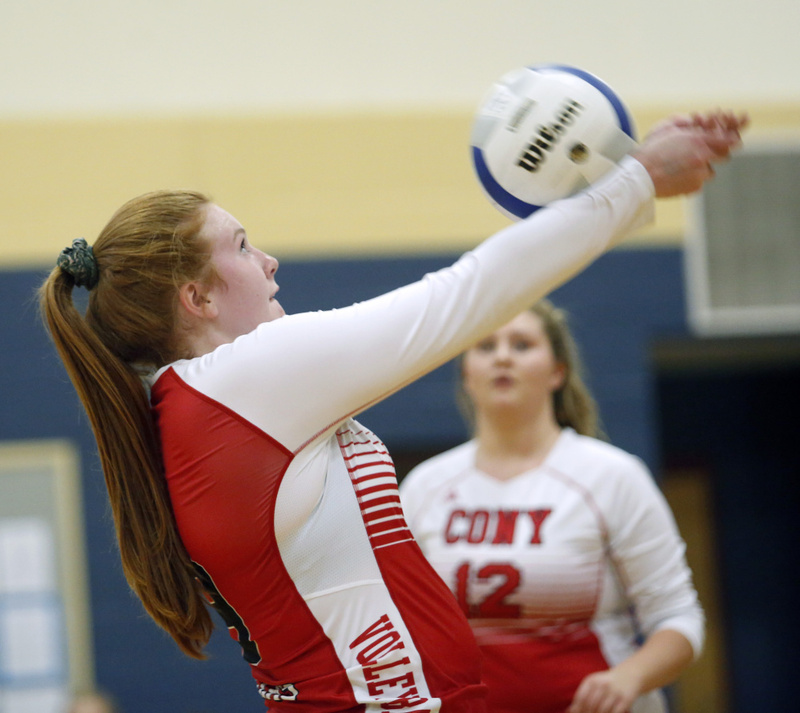 “We’ve got some really strong servers and we’ve been working a lot on getting the ball in consistently,” Northway said. In the first set, the Yachtsmen scored eight consecutive points off Summer Spiegel’s serve, then 10 straight points off Lydia Abbott’s serve to open a 24-6 lead. In all, the Yachtsmen scored 25 points when Spiegel was serving. The Yachtsmen received strong play up front from Alison Noyes, who scored 10 points off kills, blocks or dink shots, and Annika Hester, who had six kills.